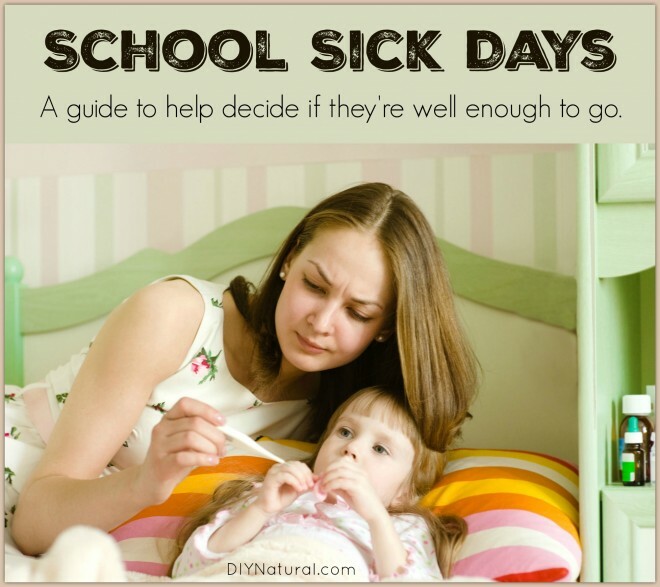 Home DIY Natural Blog Health When are Sick Children Well Enough for School? When are Sick Children Well Enough for School? Is your child sick but you’re unsure if they should stay home from school? Are they out of sick days? Let’s take a look at some common symptoms and whether they are reason enough to keep a child home from school. If you have kids in school you know the under-pressure feeling when you have to make a call on a potential sick day. We homeschooled our son last year and decided this year to send him to school. Unfortunately, no matter how healthy your child is, they will bring home a variety of new “icks.” It’s inevitable, not only because of the sheer number of new bodies they will encounter, but also because of sick policies at school and at the offices of the parents. Sometimes sick children get sent to school because either they or their parents are out of sick days. This, of course, means you may find yourself anguishing in the early morning over whether or not you should send your newly infected child back into the fray. When we homeschooled, if my son became ill I kept him indoors and away from other people until he was healthy. Now, I am encouraged to send him to school as soon as possible. It seems there are only so many days that my judgement as a parent is acceptable – after that, I am required to take my child to a doctor so that their authority can be substituted for my own. I certainly understand the need for rules like this. There are parents who are negligent in their child’s schooling and health and some regulation can help to catch anyone who might otherwise fall through the cracks. The average parent who is guarding both their child’s health and that of others will often run down and get homework to keep their child caught up. Why must that parent’s authority over their child be questioned and result in a doctor bill and exposure to a germ-ridden office? As I struggled this morning with whether or not to send my son, I knew his sick days were dwindling. I decided to keep him home in the end. I wasn’t worried about whether or not he was contagious, it was a concern for his individual health. I thought I’d put together this reference guide about when to keep your child home from school for those anguished moments of decision. Any time your child has a fever they should stay home. The body is actively fighting something. This means that they are usually contagious and it is inconsiderate to share. This also means that the body is focusing all its energy to raise the temperature. Any unnecessary energy expenditure like going in and out of buildings, regulating temperature, running, talking to friends, etc., pulls focus away from developing that fever. This makes the fever less effective and can make the illness last longer and go deeper into the body. A typical cold can be negotiated at school. You can send warm food in their lunch, dose them up with Vitamin C and your choice of cold medicine. When a child has a barking cough where you cannot hear any movement of phlegm, this should give you pause. An unproductive cough means the body is not successfully moving the irritant (mucus) out. If the mucus is allowed to sit and fester, breathing gets more shallow, less oxygen is circulated, and the lungs can become infected. This is where we move into pneumonia. A child with this sort of cough should be kept at home with mustard packs on the chest and back, drinking decongestant tea and staying warm and quiet. 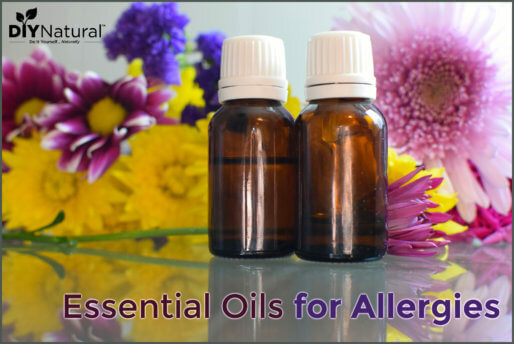 I also recommend putting them in a room with a steamy shower to help break up the cough. When you no longer hear that hard, painful cough, they’re ready to go back to school. Again, this one is painfully obvious. If your child is vomiting, you should keep them home. This isn’t a serious problem as long as your child is kept hydrated (and can clean up independently after using the bathroom). While this kind of digestive problem runs its course it is, to say the least, a disruption to your teacher’s classroom and a difficulty for your child. You should be wary about sending children to school if their eyes are oozing any kind of pus and they are overly red, inflamed, or itchy. This could be the dreaded pink eye and you don’t want to be the parent who starts that particular plague. Remember that your school is responsible for the concern of the student body so they are thinking only about what is contagious. You are responsible for the body of your student and you must be aware of what can hurt them in the long run. Sometimes a non-contagious situation can degenerate into a serious condition for your child. It is better to anger the holders of the sick policy and protect your child. Often one day at home can head off weeks of lost school time. What do you think? Should there be room for individual discussion regarding a school’s sick policy? I taught for 15 years. For about half of that attendance was entirely up to the parent. Kids were kept home to do chores, watch younger kids, help nurse mom through a hangover, or because they just didn’t want to go. I also had kids who were horribly ill show up and promptly fall asleep, with no one answering the phone to come get them. There is a reason teachers have great immune systems…they get exposed to everything! The fact that many parents have no sick leave and a missed day of work can mean no rent money is a big issue, though not relevant to this discussion. When I became a stay at home, home-school parent, I didn’t worry about the school sick policy. If someone felt crummy one day, we made it up another. No big deal. When they entered public school one went into the gifted program, the other went into honors classes, yet our actual instruction time at home had been a fraction of the time they would have spent in class at school. Now that both teenagers have chosen to go to public school, I find myself fighting the school on the attendance policy. Both kids resist taking sick days, saying it is easier and less stressful to go sick than it is to make up missed days. Schools have gotten to the point where they seem to feel they are co-parenting with us. Teachers feel school is the students “job”. Despite my experience with attendance issues as a teacher, I still feel the parent should be the ultimate authority. We need to reel back the authority/responsibility the school/government has. The teachers need to provide the opportunity to learn, assignments need to be provided for absent students on request. Grades should reflect work done and test results, not attendance. If you chose not to send your child to school, they may fail. That should be on you and the child. When my daughter was hospitalized for a week with meningitis, I felt harassed by her teacher to get her back to class full time. Her first full day back, she ended up relapsing and going to the ER and another 2 days in the hospital. When she had knee surgery we had a similar issue, plus she had used up all her sick days and when she was sick later in the year, they didn’t want to excuse it. Through it all she maintained A’s in honors level classes.So clearly the sick time was not keeping her from learning. Schools should not have the right or the responsibility to dictate to parents. If I decide they are too sick to go to school , that should be my call. I kept my daughter out for 2 days this year to go to a martial arts seminar several states away. Time well spent. I didn’t give the school a reason, just that she would miss those days and to please give her the work she would miss. I’d love to see the system revamped and responsibility put back on parents and students. We also need to slow it down. They are trying to cram far too much into too short a time. The whole age related race to be done by 18 is not healthy or the best way. Some kids should wait till older than 5 to start school. Some may benefit from a semester off if there are health issues. ( Why should a child having chemo, have to struggle to keep up with schoolwork?) Testing needs to be toned down. Students are under massive stress, and stress related issues are becoming more and more common in younger and younger kids.We have asked schools and kids to do too much, and now we are seeing the results in a loss of parental rights and responsibility and student health, physical, emotional and mental. Thank you for your thoughtful contribution to this discussion. I totally agree! Somewhere along the line we got uncomfortable dealing with problems (children who truly are being abused or denied a chance at education) on a case by case basis and made it “easier” by assuming all parents can’t be trusted with these decisions. I would like to take my kids on some of the travels I take throughout the year. I believe they would benefit greatly by seeing some of the historical places and by taking part in some of the education programs at conferences where I speak. Unfortunately, I can’t risk the sick days and they won’t be excused. I work at an elementary school. We ask that parents keep their child home for any of those conditions you listed. In addition, the child needs to be free of fever, or have stopped vomiting and diarrhea for a full day before returning them to school. 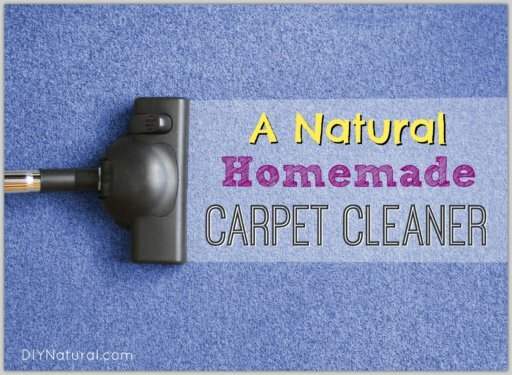 Thanks for posting the guide!